This was my first yeast experience since junior high. I admit-- I was scared, especially since I live at high altitude and I have been "warned" by friends that it is not an easy task. Beginner's luck! THIS WAS EASY. I vow to never use store-bought crust again (yikes). In a large bowl, place the warm water, olive oil, honey and yeast, and blend with a hand mixer for 30 seconds to combine. Allow the mixture to sit for 10 minutes or until foamy. Add both types of flour and salt, and mix for 1 additional minute or until the dough comes together to form a ball. 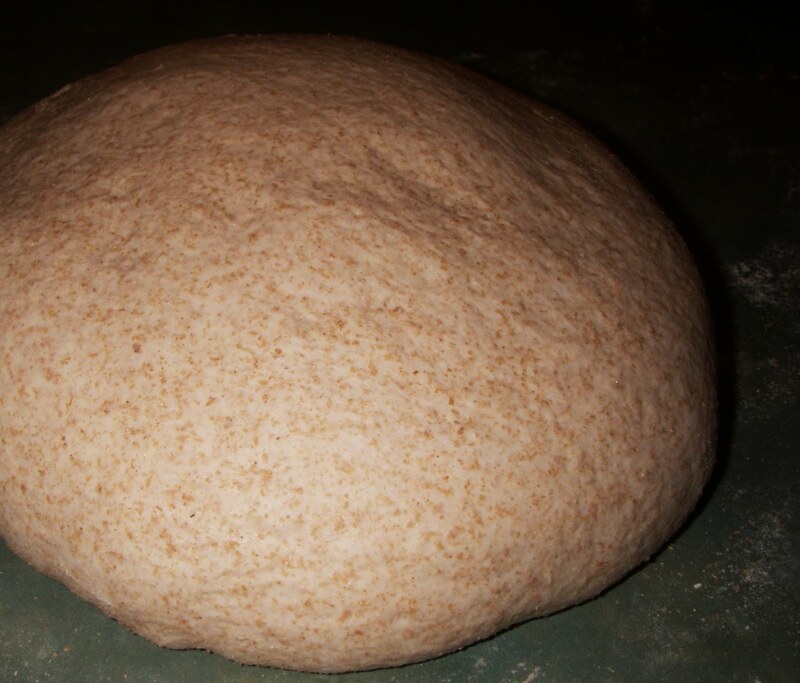 Transfer the dough to a floured work surface and knead the dough for 5-7 minutes or until smooth and elastic. Lightly oil a large bowl with a little olive oil, transfer the ball of dough to the bowl, and roll the dough around the inside of the bowl to thoroughly coat it with the oil. Cover the bowl with a clean towel and leave the dough to rise for 1 hour or until doubled in size. After the dough has doubled in size, punch down the dough, and turn it out onto a floured work surface. Knead the dough a few times, place the bowl over the top of the dough, and leave it to rest for 20 minutes. Roll out to desired size. Place toppings onto crust and bake on middle rack at 425 degrees for ~20 minutes.